On every second or third page of Stieg Larsson's trilogy of novels, somebody offers to make coffee. As though the punchy writing and intelligent storytelling weren't enough, Larsson won me over by playing on my caffeine addiction too. As a librarian watching David Fincher's film of the first novel, the ever-present shelves of books ought to have provoked a similar warm feeling. But I kept being distracted by the tricks used to condense a complicated book - background television screens to allowing past and present events to be explained at the same time; passed-over snippets of text on laptops; photos and timelines neatly stuck to walls; and yes, books shelved on minimalist furniture to give a Scandinavian polish to a Hollywood film. Henrik Vanger's (Christopher Plummer) lamp-lit personal library, with lots of dark wood and leather-bound volumes, spoke of a cultured patriarch representing, as one character calls him, 'the old Sweden.' He has handed control of the family firm to his nephew (Stellan Skarsgård). Creepy company archives - ramshackle, oddly lit, and a possible repository of secrets - warn us that there's more to this personification of 'the new Sweden' than Kartell lamps and Fritz Hansen armchairs. 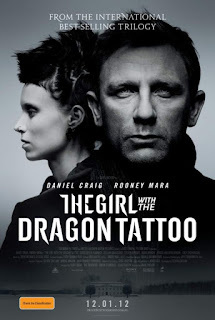 In a classy piece of bifurcated montage, the identity of the killer becomes known to journalist Mikael Blomkvist (Daniel Craig) and troubled subculture sprite Lisbeth Salander (Rooney Mara) simultaneously. Befitting his status as the salt 'n' peppered newspaperman, Blomkvist interviews an elderly Nazi surrounded by teetering piles of books (a more problematic vision of old Sweden) before discovering the identity of the killer with the carefully organized use of his laptop, photographs, copious notes and ground Java. Old school journalism. Lisbeth sips on Nescafe and devours a sugary snack, while piecing together seemingly random clues found in the company archive using information retrieval tricks old (a card catalogue) and new (hacking). New school... what exactly? 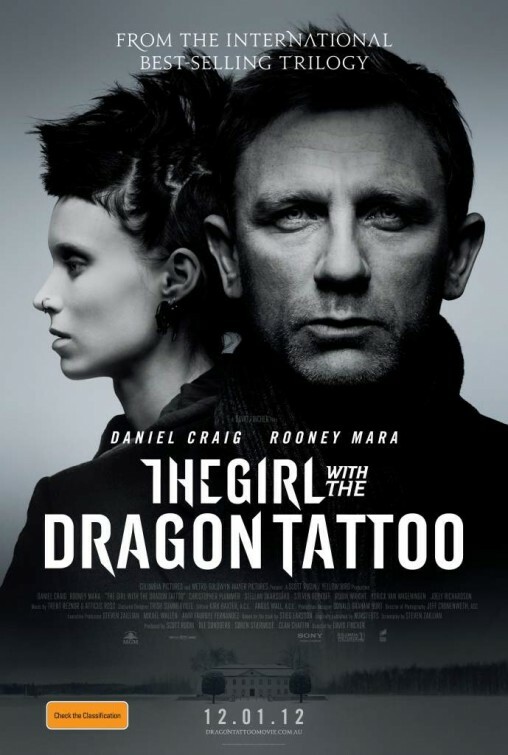 Salander is a problem for both Larsson and Fincher, and a problem that strains the credulity of both visions. Lisbeth isn't just a maladjusted hacker; she's a walking deus ex machina who can be relied upon to say 'pwff... whatever' to every problem and deliver every solution just in time. At least she still needs to consult the library. 3D films were also being developed outside america. For M Watch Movies Online Options visit on this website.